Its origins date back to the III century BC when it was populated by inhabitants who escaped from the destruction of Velzna, one of the most important Etruscan cities, destroyed by the Romans in 264 BC. 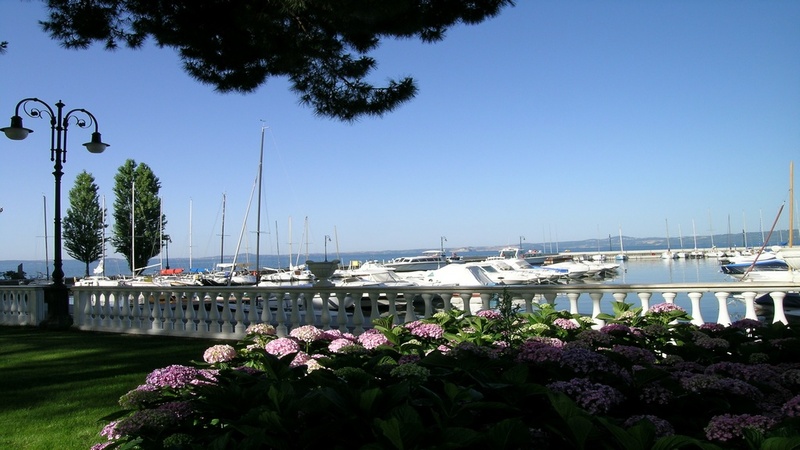 Bolsena inherited its name from Velzna, which classic sources have handed down to us in the Latin form Volsinii. In 1263 an event of enormous consequences marked the history of Bolsena. In the Basilica, dedicated to Saints George and Cristina, at the moment of elevation during a mass celebrated by the Bohemian priest Pietro da Praga, drops of blood fell from the host onto the linen altar cloth and marble altar; both objects are still kept in the chapel of the Miracle of the Church of Saint Cristina, erected in the XI century. That Eucharistic miracle, whose fame went beyond the peninsula’s borders, lead Pope Urbano IV to institute throughout the Catholic world the festivity of Corpus Domini. Still today, on June 18, the festivity is remembered with a solemn procession that snakes its way through the city’s streets which are adorned by a continuous carpet of flowers of truly unique artistic style. 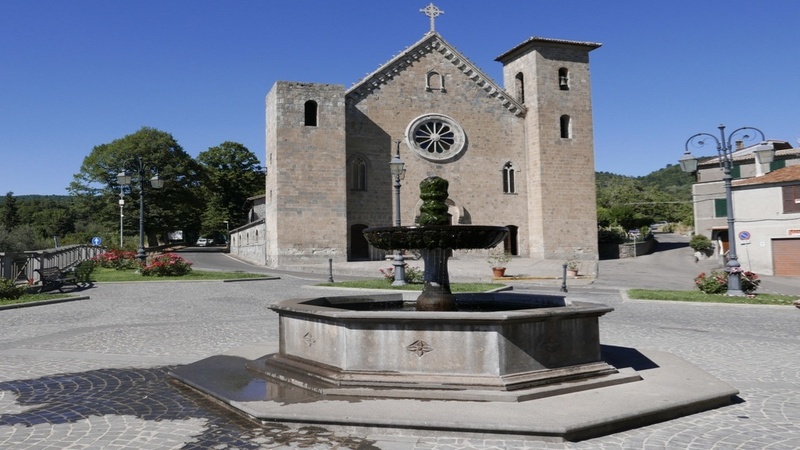 The evening of July 23 and the morning of July 24, Bolsena celebrates Saint Cristina, its Patron and martyr, with the representation of the Mysteries: Living pictures enacted on wood stages situated in the most important squares of Bolsena representing the martyrdom the Saint suffered. Under the hill adjacent to the Collegiate Church and Chapel of the Miracle complex lie catacombs whose origins are traced back to the II and III centuries b.c., continuing up to the fifth century a.d. The Fortress (La Rocca), currently known as the Monaldeschi castle, was erected by the people of Orvieto during the XII-XIV century, and dominates the urban center of Bolsena. During the Middle Ages it was the defensive outpost of the urban center and its hinterland. 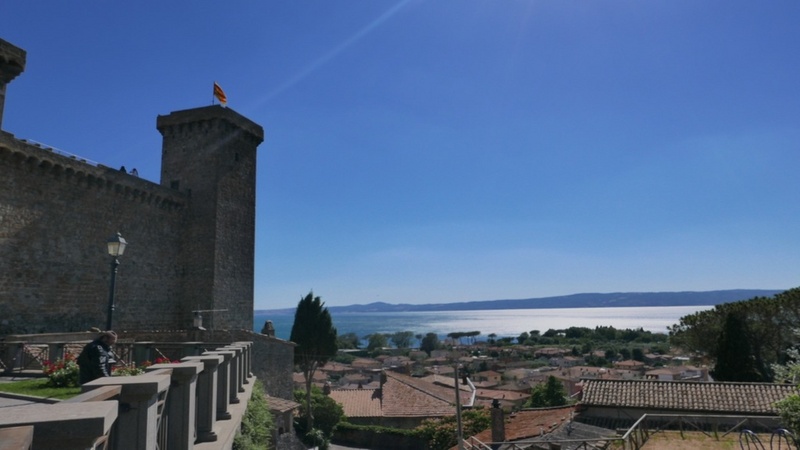 It’s possible to visit the castle which also houses an interesting museum concerning the lake of Bolsena and archaeological findings from the region. Along the road to Orvieto is a 4km-long stretch of Etruscan city walls which contain the fascinating remains of many monuments.